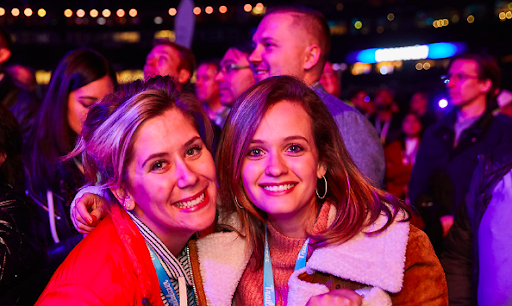 During the day, Dreamforce is jam-packed with sessions, trainings, and inspirational keynotes, but at night Dreamforce plays host to some of the best parties San Francisco has ever seen. It may be tempting to order room service and queue up Netflix after an action-packed day, but consider attending one of the multitude of evening events. 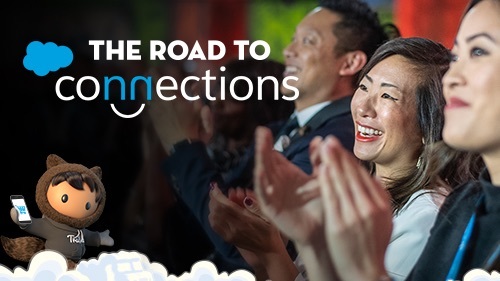 Not only will you get a chance to explore San Francisco and network with peers — you’ll get to do it while sipping cocktails and dancing the night away. Here are our best party tips along with a few of our favorite parties below. There are several party listings to peruse. Anaplan has a hefty selection of parties and events that span morning yogas to after-hours spots. You can also download DoubleDutch’s Partyforce app for those that like to party-on-the-go. Whether you’re interested in a networking breakfast, a chill happy hour, or fist-pumping concerts, there’s a little of something for everyone. Some parties have RSVP options. If it does, it’s wise to RSVP sooner rather than later. You’ll save yourself the time and effort of registering at the door, or worse getting turned away due to the party reaching maximum capacity. 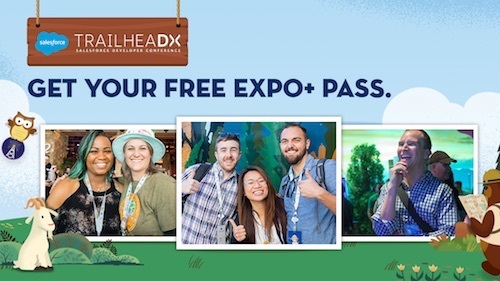 You’ll likely be toting a bag around the Dreamforce campus all day, weighed down by a laptop, battery packs, and enviable swag. Unburden yourself! Take a moment to take your stuff back to your hotel or a similar safe location. Some venues — including Dreamfest — will have security checks and will not permit larger bags, or provide bag storage. Leaving your stuff behind will give you peace of mind and allow you to have more fun. Last year, there were 171,000+ registered attendees. That means a lot of them are looking to go to the same parties you are. Dreamforce veterans recommend getting to your highest-priority parties early. You’ll be able to beat the crowds — and it will get packed — in grabbing drinks, snagging seats, and nabbing the best nibbles. Even if you have RSVP’d, coming late might mean waiting in long lines for the venue to empty out. 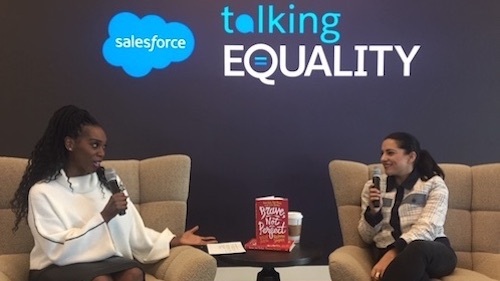 Join Outforce, Salesforce's Ohana Group for allies of diversity in sexual orientation and gender identity, as they bring the LGBTQ community and their allies together at Dreamforce with Outfierce: Space Camp, sponsored by MapAnything. The proceeds raised at this event will benefit the Trevor Project, a national organization providing crisis intervention and suicide prevention services to lesbian, gay, bisexual, transgender, queer and questioning (LGBTQ+) people under 25. Guests will enjoy an open bar, delicious food, amazing raffle prizes, and more cosmic surprises! Learn more. Dreamfest returns to San Francisco City Hall & Civic Center Plaza with a heavy headliner: Metallica. Based in San Francisco for most of their career, Metallica has become one of the biggest and most influential acts in musical history, having sold nearly 120 million albums worldwide while playing to millions of fans on all seven continents. Learn more. BOLDforce, Salesforce’s Black Organization for Leadership & Development is back for their third-annual networking and fundraiser event. Meet the BOLDforce community at this year’s Motown themed experience featuring a live band, hors d’oeuvres, dancing, and more. All of the proceeds will be donated to their adopted Oakland middle school, United for Success Academy, to help advance the STEM curriculum. Learn more. We’ve heard Pardot throws great parties, and this year will be no exception. Grab your best B2B marketing pals and get a glimpse of the future with neon colors, one-of-a-kind light shows, a world-class DJ, and a few extraordinary surprises. Learn more. Throwback Thursdays are in full swing at this party, hosted by the Salesforce Platform team. Tap into your 80s nostalgia with a performance by a surprise 80s hip-hop legend, while enjoying vintage arcade games and robot showdowns. Learn more.